Almost half of the electricity consumed in your home is estimated to be from kitchen appliances. Choosing more efficient models can really help cut down your energy bills and the EU Energy Label is the quickest and easiest way to discover how energy efficient an appliance is. With technology becoming more advanced, the EU has decided to improve the current label to give you a better understanding of what energy saving features an appliance has. We’ve set out a quick guide of the different parts to the label so you’ll know what to look for. This top section of the label is the easiest way to see how efficient an appliance is. You can see that A+++ is the most efficient with D the least. Similar to the old label, dark green shows the best efficiency while dark red is the least. The lower section varies on each label and uses symbols to display other useful information on the appliances. Have a read below to see our guide to these. This figure shows you how much energy the dishwasher consumes per year, instead of per cycle, giving you a much better estimation of how efficient the dishwasher is. This shows you how much water the dishwasher uses every year and is measured in litres. The less water it uses, the lower your water bills will be. This tells you how efficient the dishwasher is at drying your dishes when the cycle has finished. The more efficient it is, the cheaper the dishwasher is to run. This shows you how much energy the washing machine consumes in a year and is an estimation of how efficient the machine is. 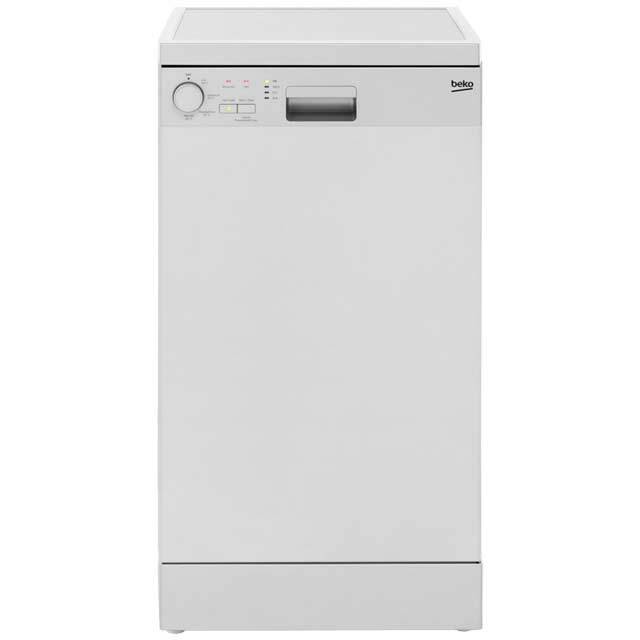 It is measured in Kilowatts – the lower the kilowatts, the more efficient the washing machine is. This is the amount of water the washing machine uses per year and is measured in litres. The smaller amount of litres the better, to help keep your water usage and bills down. This shows you how many clothes you can fit into the machine and is based on a full load run on a 60°C or 40°C wash. It’s measured in kilograms and for every 1 kilogram you can fit in around 5 T-shirts. A family of four would need at least an 8kg washing machine. This measures how efficient the spin drying is. When the cycle is nearly over the machine spins faster to get excess moisture out of your clothes, and is usually the least efficient part of the wash. With this figure you’re able to see exactly how efficient it is. This figure shows you how much noise the washing machine makes during the washing phase. 60 dB is similar to the amount of noise made by an ordinary conversation, which shouldn’t disturb you while it’s running. This tells you how much noise the washing machine makes during the spinning phase and is usually the loudest part of the cycle. If you like to watch your TV in peace, look out for dB rating lower than 70. This is the amount of energy the fridge freezer consumes per year. It’s measured in kWh and is a good indication of how efficient the fridge freezer is. Measured in litres, this shows you how much usable space there is inside the fridge. More litres mean more space for your food. This is the amount usable space inside the freezer and is measured in litres. More litres mean more space for your frozen food. This figure tells you how much noise the fridge makes. Considering your fridge is on 24/7 you’ll want a low dB rating; around 40 dB to make sure it doesn’t disturb you.